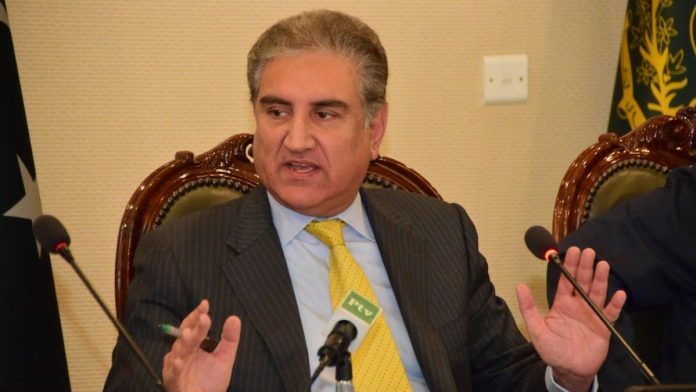 Foreign minister Shah Mahmood Qureshi said when contacted by "people over here", the Jaish-e-Mohammed leadership denied carrying out the Pulwama attack. Islamabad: Pakistan will not allow its soil to be used for terrorism against any state, including India, Foreign Minister Shah Mehmood Qureshi said on Saturday as claimed that the “nerve centre” of the Jaish-e-Mohammad terror group has been taken over by the government. India on Wednesday handed over to Pakistan a dossier on “specific details” of involvement of the JeM in the Pulwama terror attack on CRPF as also the presence of camps of the UN-proscribed terror outfit in that country. “India submitted its dossier…, if India wants to conduct talks on this, then we are ready for it,” Qureshi said. He said that there is a new government with a new mindset and a new approach in Pakistan and its policies are very clear. “We will not allow Pakistani soil to be used by any group or any organisation for terrorist activities against any state, including India,” Qureshi was quoted as saying by the BBC. Qureshi’s remarks came amid heightened tensions between India and Pakistan after the February 14 terror attack by Pakistan-based Jaish-e-Mohammed (JeM) in Pulwama that left 40 CRPF personnel dead. The JeM claimed responsibility for the attack. However, Qureshi said that there was “still confusion” over whether the JeM had claimed responsibility for the attack or not. In a separate interview to CNN, Qureshi earlier admitted that JeM chief Masood Azhar is in Pakistan and is “very unwell”, but said the government can act against him only if India presents “solid” and “inalienable” evidence that can stand in a court of law. “He is in Pakistan, according to my information. He is unwell to the extent that he can’t leave his house, because he’s really unwell,” Qureshi said. His remarks came days after the powerful UN Security Council comprising 15 nations, including Pakistan’s key ally China, named JeM in a statement condemning in the “strongest terms” the “heinous and cowardly” terror attack perpetrated by the terror group in Pulwama and stressed on the need to hold organisers and financiers of such “reprehensible acts” accountable and bring them to justice. In his interview to the British broadcaster, Qureshi said that the Punjab province government has taken over the “so-called nerve centre” of the JeM in Bahawalpur. He was referring to the provincial government’s move to take over the control of a campus comprising Madressatul Sabir and Jama-e-Masjid Subhanallah in Bahawalpur, 400-km from Lahore, last month. “India should give actionable evidence so a case can be prepared on those grounds,” he said, adding that Pakistani courts are autonomous, and evidence is needed to pursue a case. “We had stated that India should give us actionable evidence so we could act, we had assured India that we would cooperate,” he asserted. Elaborating on the prevailing situation, Qureshi said Pakistan’s new government has brought a new approach, conflicts can only be resolved through dialogue. He said that the “situation is critical still, both countries’ armed forces are still on high alert. “We are nuclear-armed neighbours, can we afford a war? This is suicide,” he said. Qureshi made the comments after Pakistan released captured IAF pilot Wing Commander Abhinandan Varthaman as a “peace gesture”. Varthaman, who in Pakistan’s custody since Wednesday, was released at the Wagah border on Friday.